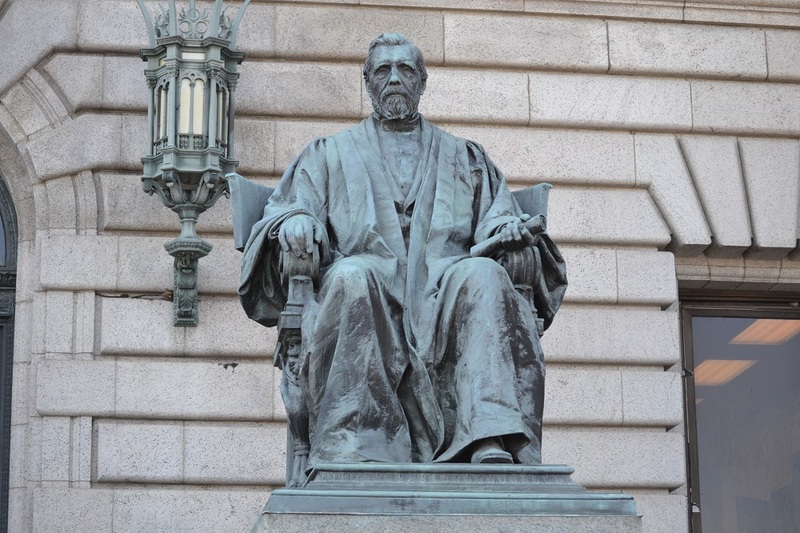 Oversized figure of Rufus P. Ranney, an Ohio Supreme Court Justice, seated outside the Cuyahoge County Courthouse. 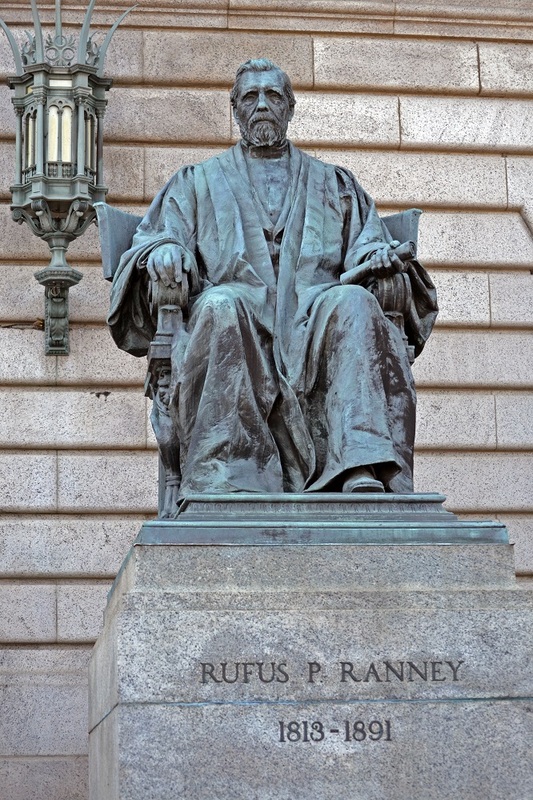 He wears judicial robes and carries a document in his left hand. 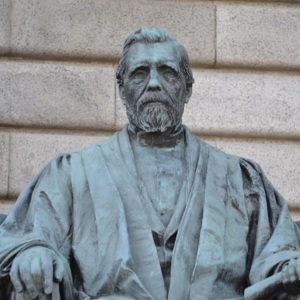 He is looking straight forward, but because of his high pedestal, his sightline is above the viewer. Ranney's face is soft and friendly, and his posture is relaxed. 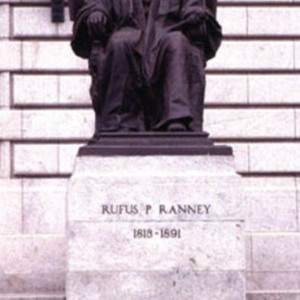 Ranney was an early Justice of the Ohio Supreme Court who possessed a brilliant legal and political mind. 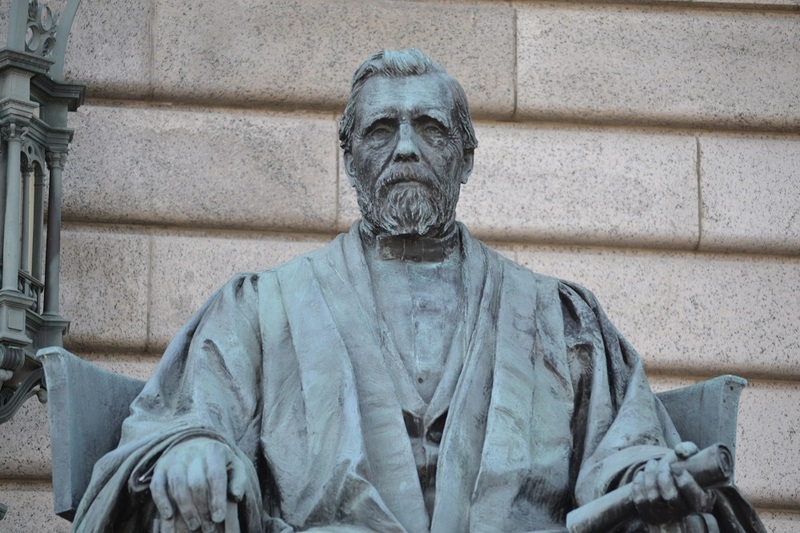 His hand in the reforms of the Ohio constitution in 1892 had a monumental impact. 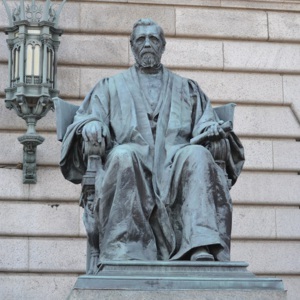 He ended up resigning as Supreme Court Justice in order to return to his private practice in Cleveland, where he later died. 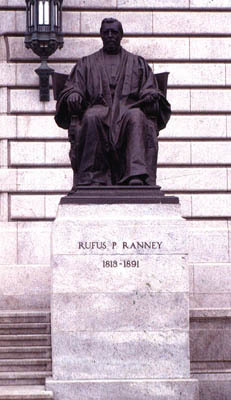 Location: Northside steps, 1 Lakeside Ave.
: Herbert Adams , “Rufus P. Ranney,” Ohio Outdoor Sculpture Inventory, accessed April 22, 2019, http://oosi.sculpturecenter.org/items/show/929.